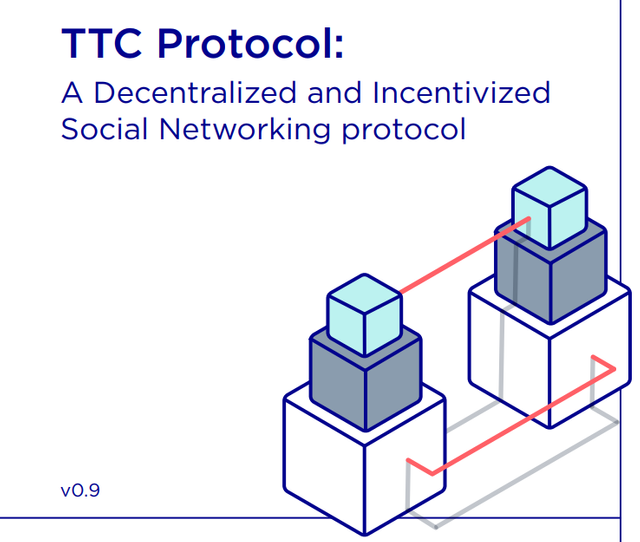 As the premier decentralized and token-incentivized social networking protocol for the next generation, the TTC Protocol provides an end-to-end solution for developers who want to join the blockchain community quickly, easily, and reliably. In order words, it provides developers with easy access to the benefits of blockchain technology. By developing in the TTC Ecosystem, developers will not only have access to an endto-end blockchain solution, they will also have access to an airdrop subsidy for gaining new users, a daily pool of issued tokens for use in rewarding users, and access to a service wide advertising network. The TTC Protocol will be implemented and maintained by TTC Foundation, which aims to build a healthy ecosystem of diversified decentralized applications (DAPPs) and improves the user experience of participants in social networks around the world. As social network services grow increasingly sophisticated, users run up against the limitations inherent in centralized architectures which require users to place trust in a single authority, which can lead to increased censorship, vulnerabilities, and abuses of power. These centralized architectures are often lack transparency due to their closed development nature of environment, and are rarely rewards their participants accurately for the value they bring to the social network platform. The TTC Protocol looks to overcome these limitations by creating a vibrant ecosystem whereby participants are active stakeholders in the network. The TTC Ecosystem is designed to consist of four major components: TTC User System, TTC Open Platform, TTC Reward Engine and a system-wide TTC Advertisement Network. TTC Foundation will oversee activities on the platform and also administers a number of programs such as Ecosystem Building Fund and Issued Reward Pool, designed to benefit all participants and grow the ecosystem simultaneously. WHO CAN TAKE ADVANTAGE OF TTC ECOSYSTEM? The TTC Ecosystem is a platform that provides value to numerous participants ranging from developers to users, and third-party advertisers. However, there are some cited examples of DAPP platforms that can use the platform efficiently for better experience and outcome. See the illustration below. The proportion of Content Reward and Reputation Reward is set at 70/30. The developer wants to encourage users to interact with the content more in a short period of time. The weights of likes, comments, and shares are set to 1:3:2. The developer wants to prioritize commenting because it provides additional value to users and improves the likelihood and frequency of user activity. The Content Reward is distributed entirely to the curators. Distribution among curators follows a pattern of equal division. The Reputation Reward is calculated based on retention value and auditing & reporting value. The proportion is set to 50/50.